Ying-Cheng Lai received B.S. and M.S. degrees in Optical Engineering from Zhejiang University in 1982 and 1985, and M.S. and Ph.D. degrees in Physics from University of Maryland at College Park in 1989 and 1992, respectively. He wrote his Ph.D. thesis on Classical and Quantum Chaos under Celso Grebogi, James A. Yorke and Edward Ott. From 1992-1994 he was a post-doctoral fellow in the Biomedical Engineering Department at the Johns Hopkins University School of Medicine under Raimond Winslow and Murray Sachs. He joined the University of Kansas in 1994 as an Assistant Professor of Physics and Mathematics and became an Associate Professor in 1998. In 1999, he came to Arizona State University as an Associate Professor of Mathematics and an Associate Professor of Electrical Engineering. He was promoted to Professor of Mathematics and Professor of Electrical Engineering in 2001. In 2005, he switched full-time into Electrical Engineering. 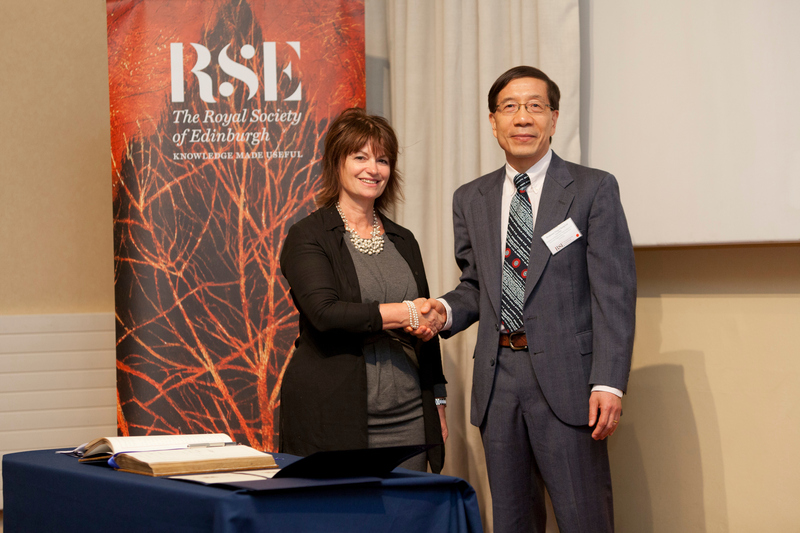 From 2009 to 2017, he was the Sixth Century Chair in Electrical Engineering at University of Aberdeen, Scotland, UK. Since January 2014, he has been an Endowed Professor of Electrical Engineering at Arizona State University. 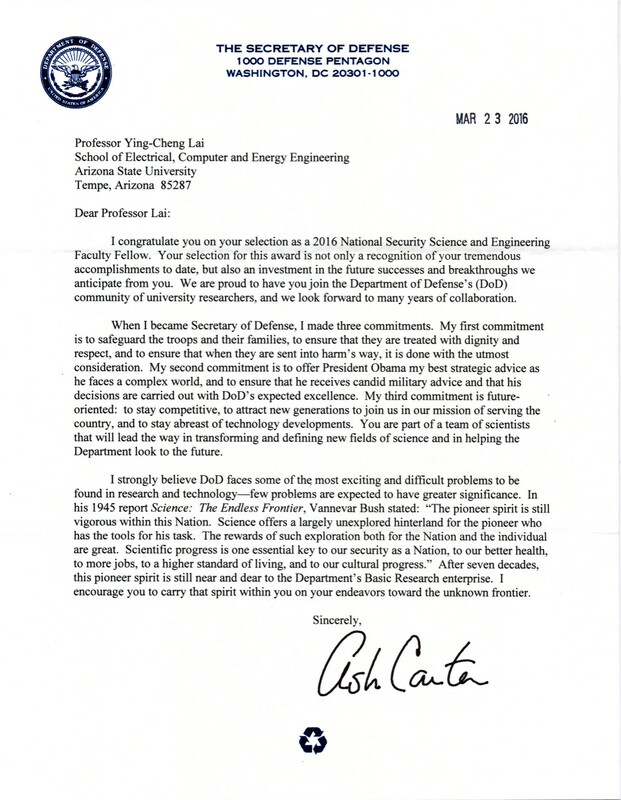 Y.-C. Lai received the Air Force Presidential Early Career Award for Scientists and Engineers (PECASE) from the White House in 1997. In the same year, he also received the Faculty Career Award from the National Science Foundation. In 1999, he was elected as a Fellow of the American Physical Society with the citation: For his many contributions to the fundamentals of nonlinear dynamics and chaos. In 2001, he served as Program Chair of Statistical and Nonlinear Physics for the APS March Meeting. In 2003, he received an NSF ITR Award. In 2008, he received the Outstanding Referee Award from the American Physical Society. In 2016 he was one of the 15 selected nationwide by the Department of Defense for a Vannevar Bush Faculty Fellowship (formerly known as NSSEFF - National Security Science and Engineering Faculty Fellowship). 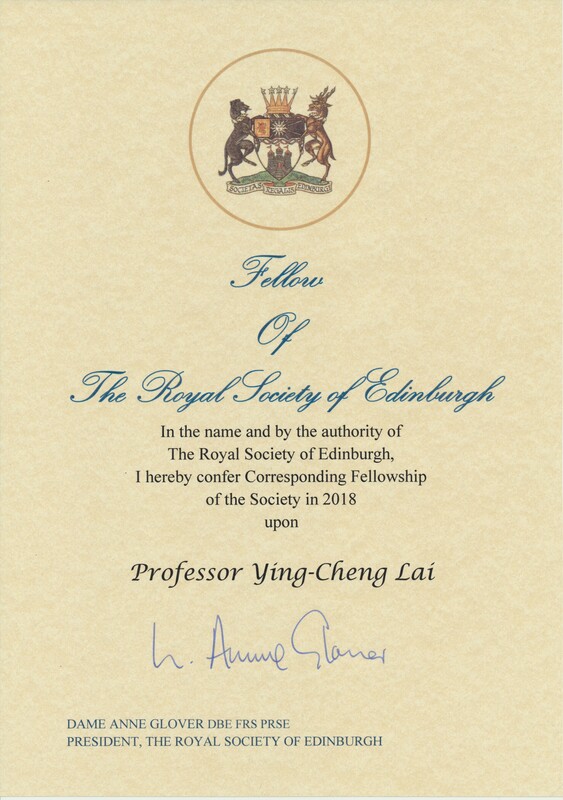 In February 2018, he was elected as a Corresponding Fellow of the Royal Society of Edinburgh (a foreign member of the National Academy of Sciences and Letters of Scotland). 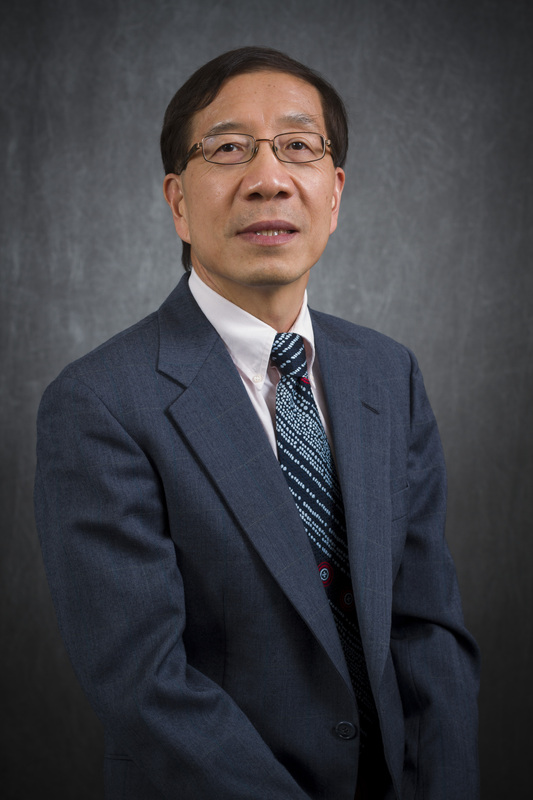 Y.-C. Lai has authored and co-authored approximately 480 papers, with over 450 in refereed journals. He has directed 20 Ph.D. and 20 Master theses and supported 14 post-doctoral fellows. He has given approximately 260 invited lectures and colloquia all over the world. His papers have been cited over 20,500 times (over 19,000 times if the citations from a few Review articles and a Book are excluded). His current Google-Scholar based H-index is 69 and i10 index is 336. Y.-C. Lai served on the Editorial Board of Physical Review E from 2014 to 2017. He currently serves on the Editorial Board of Philosophical Transactions of Royal Society A, and is an Associated Editor of Scientific Reports and International Journal of Bifurcation and Chaos. From 2010-2014, he was a Co-Editor of Europhysics Letters. Y.-C. Lai's current research interests are Nonlinear Dynamics, Complex Networks, Quantum Transport, Graphene Physics, Biological Physics, and Signal Processing.